Happy holidays everyone! I am back for another quick holiday guest post to assist you in closing 2015 with a bang- *cheers*, *clink*, *fizz*! Today I would like to introduce a new creative friend, Tracy Memoli. She is an amazing food-driven blogger at Suite & Savory as well as an on-air correspondent for Dessert Professional Magazine. She has an amazing talent for finding amazing eats all over the place and even creating her own scrumptious treats. 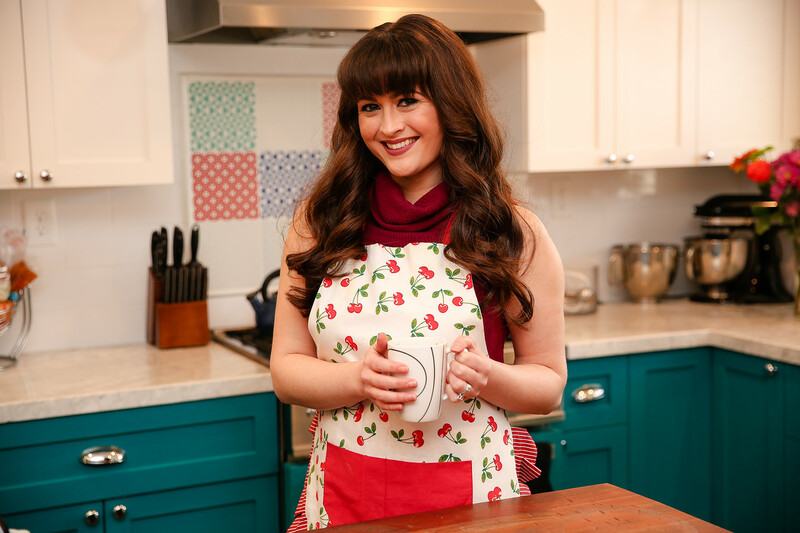 She is sharing a new holiday drink recipe with us today that will brighten up your day in the merriest way- enjoy! 'Tis the season to enjoy festive cocktails! 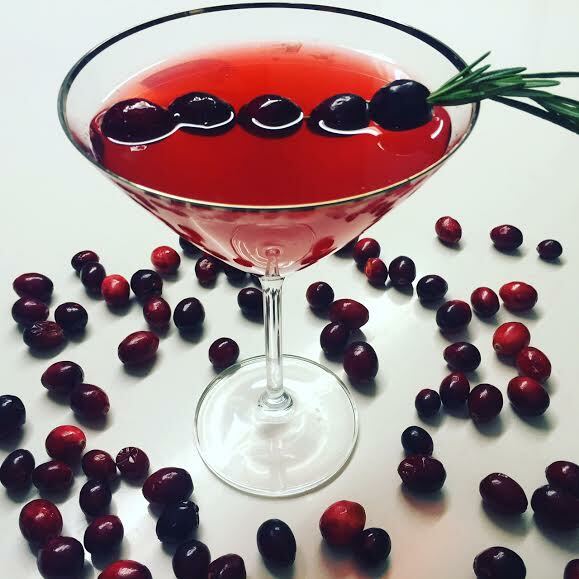 This Very Merry Cranberry Martini promises to win over your guests this holiday season. Just follow this simple recipe to add a little more holiday cheer to your next party! Start by making the cranberry simple syrup - just combine the water, sugar, cranberries and the juice of an orange to a medium saucepan and cook over medium heat until the cranberries are tender - approximately 8-10 minutes. Next, using a fine mesh strainer, strain the cranberries. Set aside the liquid and let cool for about an hour. I like doing this step in advance of entertaining, that way it saves time and has the opportunity to cool. I also never waste a thing, so reserve the cranberries in a container and use it in any of your holiday dishes or on top of pancakes the next morning! In a cocktail shaker, add ice, vodka, cranberry simple syrup and a splash of cranberry juice - add more or less of the cranberry juice depending on how sweet you like your martini. Shake and serve in a chilled martini glass. 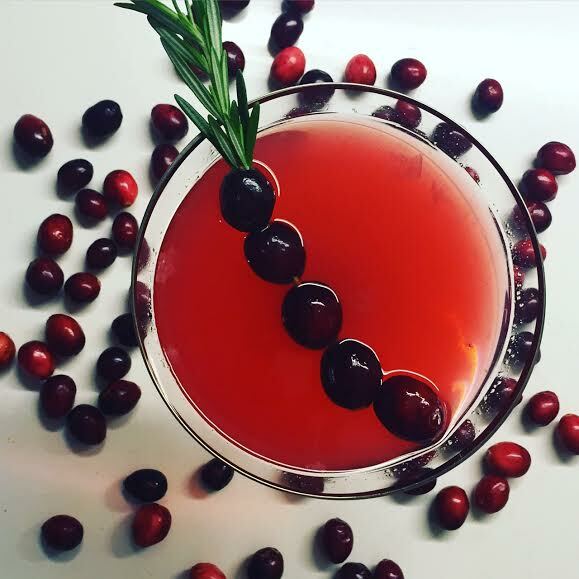 For a festive look, I like to garnish the martini with cranberries threaded along a sprig of rosemary. Happy Holidays! Don't forget to stop by Tracy's Blog, Suite & Savory, check her out on Instagram, Twitter, Facebook and contact her via e-mail to collaborate some time. We hope you enjoy every moment of these martinis! Thank you for stopping by to check it out! Happy holidays!